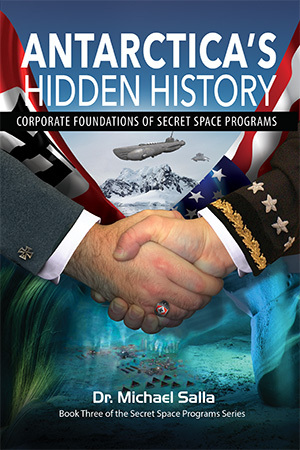 Secret Space Program whistleblower Corey Goode made an astonishing revelation in yesterday’s episode of Cosmic Disclosure in which he described his extensive tour of a massive underground cavern system belonging to an Inner Earth Civilization dating back millions of years. These people of the Inner Earth had helped the Ancient Sumerians rebuild civilization after a minor cataclysm on the surface. In whole or in part, the representatives of the Inner Earth were suggesting they were the Anunnaki, who Zecharia Sitchin described in his famed Earth Chronicles series of books. This and the previous episode of Cosmic Disclosure have focused on a Goode’s meeting with select members of up to seven ancient Earth civilizations, and his subsequent tour of underground facilities, which took place in September 2015. Goode had earlier released a written report of this meeting on September 23. Last week, in the January 26 episode, Goode described key points in this meeting with the representatives, whose civilizations ranged in age from the youngest dating from approximately four ice ages ago, to the oldest enduring a staggering 17-18 million years. Goode further described their various racial characteristics and pendant amulets (a form of technology), with specific symbols uniquely meaningful to each of the civilizations. In appearance, they seemed to represent all the major racial groups present on the Earth’s surface. The oldest of the civilizations wore a Saturn-like amulet, while the youngest used an Omega symbol. Detailing a private encounter he had after the meeting with a priestess from the hosting civilization, Goode told of accepting her request to link their minds together, because she wanted to experience a visit he had to a crystal cave while a child participant in the MILAB program that indoctrinated him. After the “mind meld”, the Priestess, “Kaaree” (Car-ee), offered to give Goode and his companion, Lt. Col. Gonzales (a pseudonym), a tour of three large caverns belonging to the oldest of the inner Earth civilizations. The first cavern Goode and Gonzalez visited was massive in size, encompassing an area similar in size to the U.S. state of Texas, and it contained a futuristic looking city. Here huge buildings loomed along with, light domes, and people were walking about, with flying saucers and cigar shaped vehicles flying overhead. Remarkably, their craft could easily fly through the cavern walls. Goode’s narration was accompanied by a number of illustrations in this latest Cosmic Disclosure episode. Next, Goode and Gonzalez were then taken to a large garden-like agricultural area where they viewed crops being grown. The crops could feed an approximate population of millions, according to Goode’s estimate. Finally, they were taken to a large wildlife sanctuary with birds and other animals. 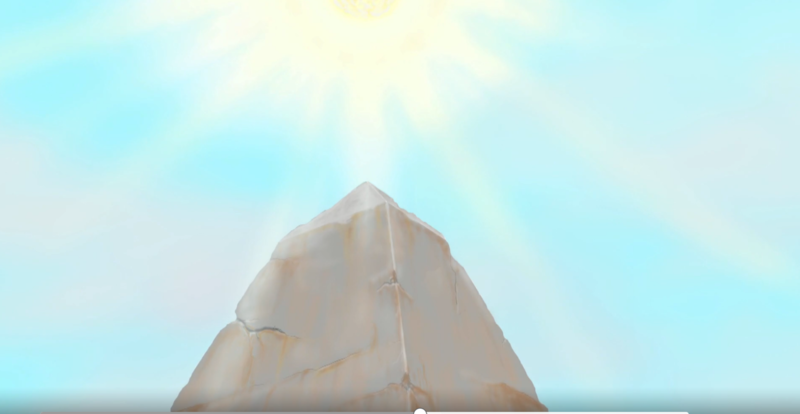 There sky here was pale blue and a large obelisk stood in the center, which had a large energy source above it. This appeared to eminate the famed Vril force that Edward Bulwer Lyton wrote about in his 1871 novel, Vril, The Power of the Coming Race. 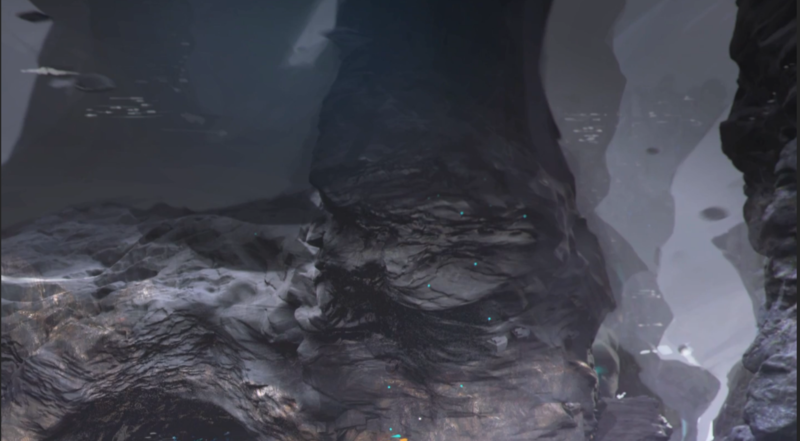 Goode was told that this particular cavern had been terra-formed. Towards the end of this tour, led by the priestess Kaaree, she told Goode how her people had helped the ancient Sumerians after a minor cataclysm on the Earth’s surface. Kaaree revealed that the Sumerians had been taught agriculture and writing by the Inner Earth Civilization whose spoken language was a form of Akkadian/Sumerian. This stands out as a paradigm shifting revelation from Goode given the literature produced by authors such as Zecharia Sitchin. After translating Sumerian cuneiform texts, Sitchin’s interpretation convinced him that the Sumerians were helped in starting their remarkable civilization in 3800 BC by the Anunnaki, highly advanced beings who came from a planet called Nibiru, orbiting in the far reaches of our solar system. The History Channel’s Ancient Aliens series has widely popularized this view that alien visitors had helped the Sumerians build their civilization. When Goode explained this contradiction to our own historical understanding, Kaaree told him that he would need to visit their ancient library to get the answers he sought. Goode will cover the library visit in the next episode of Cosmic Disclosure, and soon release the long awaited second installment on his written report of the inner Earth encounter first released on September 23, 2015. For the moment, it is clear that one of the representatives from the Inner Earth civilization was plainly stating that they had brought civilization to the Sumerians. In addition, Kaaree was suggesting that her people had deceived the Sumerians into believing that they were gods from a planet, real or not, called Nibiru, which had a long period orbit around our sun– 3,600 years according to Sitchin’s translations. 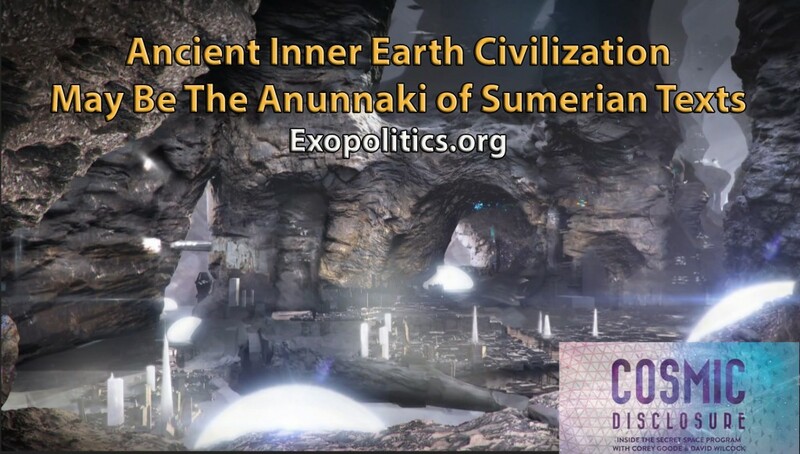 The February 2 episode of Cosmic Disclosure, and next week’s, are likely to be very controversial due to the widely promoted belief that the Anunnaki were ancient aliens who visited the Earth, according to Sitchin’s respected translations. It will be fascinating to learn the perspective of the oldest of the inner Earth Civilizations about the true history of our planet, and what happened in particular with the ancient Sumerians. At this point, many readers may ask, can Goode’s account be possibly true? 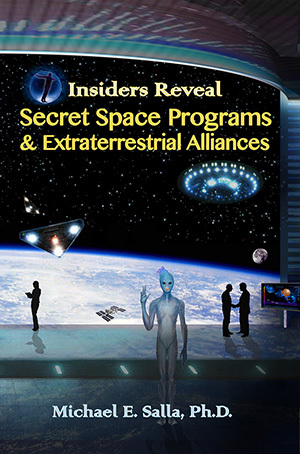 According to my own research and investigation, which I detailed in the book, Insiders Reveal Secret Space Programs and Extraterrestrial Alliances, there is much evidence and documentation to support Goode’s testimony. More recently, another whistleblower has emerged, William Tompkins, who has provided documents in his autobiography, Selected By Extraterrestrials, that corroborate major elements of Goode’s claims. Tompkins testimony is especially relevant when it comes to the Germany’s pioneering role in the development of Secret Space Programs, and how they were helped by an alleged extraterrestrial race from Aldebaran that used the Sumerian language. If Goode’s claims are accurate, then the alleged extraterrestrial race may in fact have been an inner Earth civilization masquerading as aliens. Just as the Sumerians were possibly deceived into believing that the Annunaki were extraterrestrials from Nibiru, so too the Germans may have been deceived into believing that Nordic looking aliens from Alderbaran had made psychic contact. In reality, both the Sumerians and Germans had more likely made contact with one or more of the multiple Inner Earth civilizations that Goode recently encountered in September 2015. In conclusion, Sitchin’s Anunnaki may have a very terrestrial explanation after all!